This quick tutorial shows you how to easily install the latest Oracle Java 11 LTS in Ubuntu 18.04, Ubuntu 18.10, Ubuntu 16.04, Ubuntu 14.04 via PPA. Thanks to the “Linux Uprising” team PPA, an installer script is available to automatically download java package from Oracle web server, and install it in on your system. Type user password (no asterisks feedback) for sudo prompt and hit Enter. For Ubuntu 18.04 and higher, skip sudo apt-get update command since it’s done after adding PPA. Before getting started, you must accept the license (press Tab to highlight OK and hit Enter). 3. 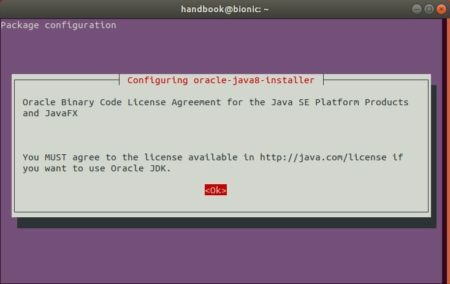 If you have installed multiple Java versions, install (or remove) oracle-java11-set-default package to set (or not set) Java 11 as default. And go to Software & Updates -> Other Software to remove the PPA repository. 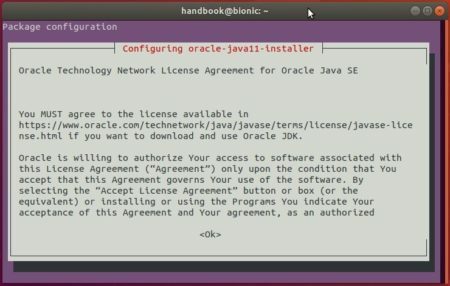 This quick tutorial shows you how to easily install Oracle Java JDK 8 and/or 10 in Ubuntu 18.04 LTS via PPA. There’s no PPA package for Oracle Java 6 and 7 since they are now only available for those with an Oracle Support account (which is not free). And Java 9 has reached end of life. The “Linux Uprising” team maintains a PPA repository that contains Oracle Java 10 installer for all current Ubuntu releases. Note that due to licensing, the PPA does not contain Java binaries. The packages in the PPA automatically download and install Oracle JDK 10 from Oracle web server. Type your password (no asterisks while typing) when it prompts and hit Enter to continue. Webupd8 Team maintains a PPA repository that contains Oracle Java 8 installer scripts for all current Ubuntu releases. And launch Software & Updates -> Other Software tab to remove the PPA repositories.